Representatives from ‘Team Sydney’ – comprising of the Organising Committee (including Chair Simon Ringer and Co-Chair Paul Munroe); venue International Convention Centre Sydney (ICC Sydney); global bidding services specialist BESydney; Professional Conference Organiser (PCO) Arinex and other key suppliers and partners – demonstrated IMC19’s wide-reaching impact on Australia’s scientific community and meetings industry. 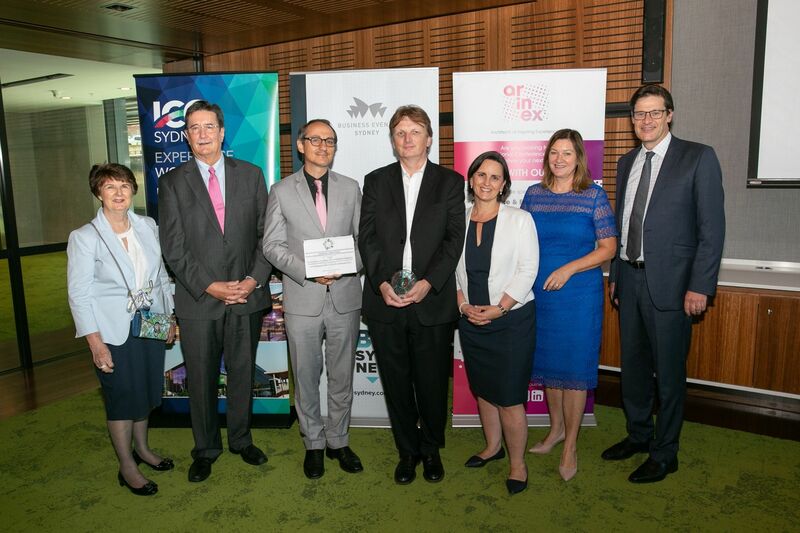 Australia has a global reputation as a welcoming, innovative and collaborative nation, and the Award from Arinex’s international peers is a wonderful recognition of the contribution the business events sector makes to New South Wales (NSW), said Jonathan O’Dea MP, NSW Parliamentary Secretary to the Premier and Treasurer. “IMC19 contributed over A$7.2 million in direct expenditure for NSW – part of the overall $1 billion BESydney has secured for our State in the past five years. Arinex CEO, Tamara Kavalec said that the Team Sydney partnership gave IMC19 clout worldwide and helped them demonstrate the high bar the Australian meetings industry delivers. The close-working relationship with the Organising Committee saw us introduce several IMC firsts, including digital posters to give delegates a more valuable experience and a Schools Outreach Program that welcomed over 600 students across the State, she concluded. CEO of BESydney, Lyn Lewis-Smith said that at a time when the business events sector is facing significant competitive challenges, organizations are looking to find new models to ensure the long-term viability of their global meeting programs. These meetings are so important to an industry like microscopy, as they provide a platform to exchange the leading-edge insights, techniques and technologies, and spark new cross-border collaboration opportunities, he added. Sydney’s business events sector has again proven how it can collaborate closely with industry groups and businesses to generate outcomes that help an industry grow. IMC19’s outstanding success is the result of this effective collaboration and Team Sydney’s focus on the international client’s objectives from the start of the bid through to the delivery of the event several years later, he concluded. CEO of ICC Sydney, Geoff Donaghy said the successful delivery of IMC19 was an excellent example of what can be achieved through a collaborative approach. He stated that IMC19 was a very complex event that they worked hand-in-hand with the Australian Microscopy & Microanalysis Society, Airnex and BESydney to deliver a highly successful outcome – a true demonstration of the collaborative nature of our city. They are delighted on the award win for our fellow Sydney industry partners and congratulate them on their achievement in taking home this global industry award, Mr Donaghy said.